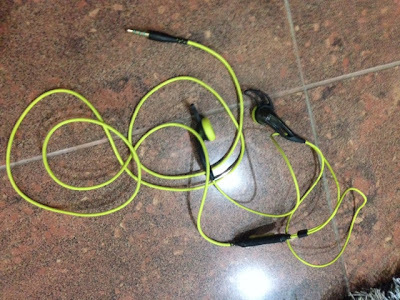 I would like to share with you an earphone that is very useful especially exercising while listening to the music as sweating can damage your earphone permanently. 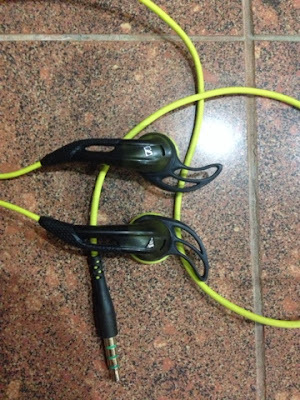 The Adidas Sennheiser earphone is a Waterproof type earphone that helps us in solving that issue. 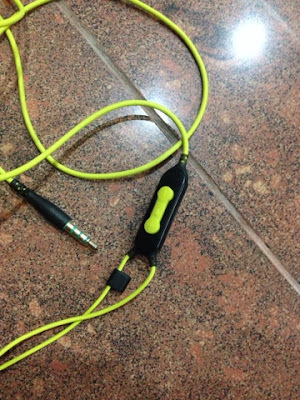 The insulation material prevents the sweat from damaging the electronics embedded inside your earphone. It is yellow in color. The design is quite cool though. Both Sennheiser and Adidas logo are clearly appeared in each side of the earphones. Simple volume control for controlling your volume while on the go. I bought this for RM300+. It's reliable and good product. I have been using it most of the time during my jogging activities.